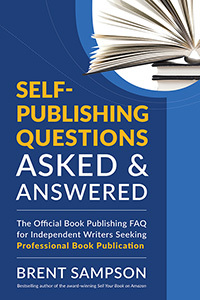 "Self-Publishing Questions Asked & Answered" identifies the most common questions concerning self-publication today and answers them clearly and concisely. 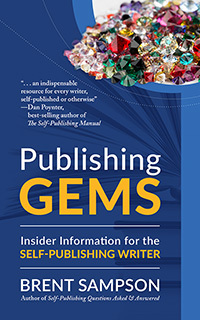 What is the difference between "independent" self-publishing, "free" self-publishing, and "full-service" self-publishing? What should I title my book? 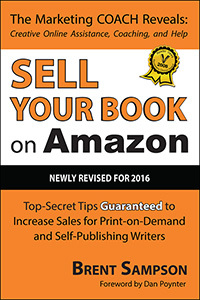 How do I price my book? What is an ISBN and why is it important? How do I get book reviews on Amazon? 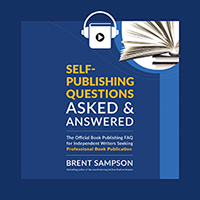 These are just a small sample of the top 25 questions self-publishing expert Brent Sampson has been asked over the years and now answers thoroughly and completely in this book. 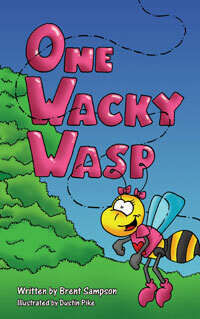 2008 MARKED THE first time in history that more books were independently self-published than published traditionally. By 2009, 76% of all books released were self-published. These trends show no signs of slowing down. In fact, in 2015, the sales of all independently self-published books exceeded the sales of all books published by “the big five” traditional publishing houses. In other words, it’s a great time to be a self-publishing writer! Some writers migrate from traditional publishing to self-publishing because they appreciate the greater degree of control they have over their story, their rights, and their careers. Others pour their hearts and souls into manuscripts that, for whatever reason, traditional publishing doesn’t show an interest in, so they turn to self-publishing as a means to share their stories with the world. 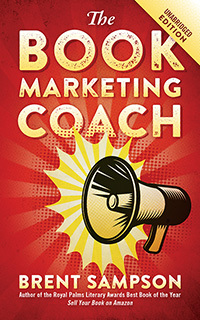 By now, almost all writers realize that every publishing route (even traditional ones) require the author to be involved in the marketing process. So they figure, if they’re going to put forth that much effort, they should make more of the money. Traditional publishing typically pays 5%-10% of the net profit from book sales, while self-publishing typically pays between 50%-100% of the net profits. Everyone, even right-brained creative types, can identify the best choice there. Regardless of the reason, self-publishing grants all authors the opportunity to leave their legacy and their mark on the world. Life may be fleeting, but books live forever. The main reason most authors shy away from self-publishing is because they want to be accepted by a traditional publisher. They want to have movies made out of their books. And they’re afraid self-publishing will hurt their chances. But as you can see from The Joy of Cooking, The Martian, and Fifty Shades of Grey, self-publishing isn’t a roadblock to that goal. It’s a stepping stone. In fact, it’s a stepping stone to all of your goals as a writer. Why self-publish? Why wouldn’t you? Ernest & Young Entrepreneur of the Year Semi-Finalist Brent Sampson is the award-winning and bestselling author of Sell Your Book on Amazon and The Book Marketing COACH. 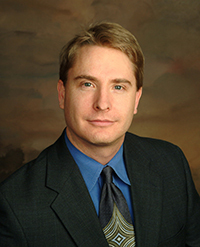 As the founder, president and chief marketing officer of Outskirts Press, Brent has helped thousands of writers publish thousands of books while experiencing the joy and satisfaction of bringing high-quality, professional, and award-winning books into the marketplace. Learn more at OutskirtsPress.com. Listen to the first 15 minutes. 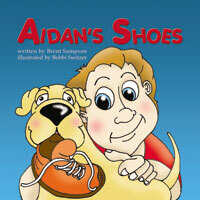 Listen to a sample of the audiobook on Amazon.